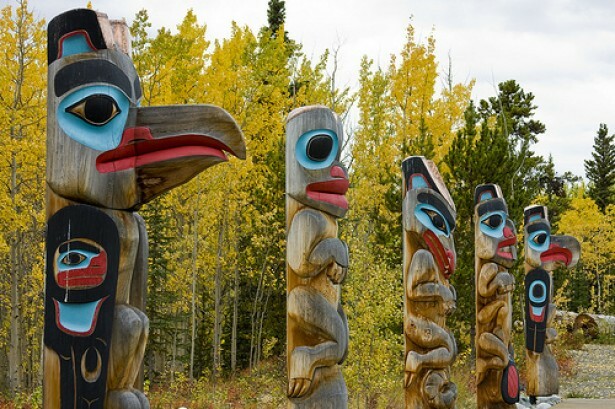 Education, values, and knowledge from Tlingit Elders. All of the knowledge that has been shared with us from Elders David Katzeek, Linda Belarde, and Selina Everson, has been a real privilege to hear. It is wonderful getting to listen to such a vast amount and variety of tid-bits, life experiences, and tips that they have gained over their lifetimes. The thing that really stuck out to me (the “nugget” of information) was that Linda really touched on things that we’re currently discussing in our class. Things like relating to the students. Developing a personal relationship with them or “love” them as Linda said. This way of thinking is really important because sometimes the importance of developing those deep relationships isn’t stressed enough. Sometimes (especially in smaller villages) when a student doesn’t have the greatest home life, the teacher is their number one advocate for support. Without that close relationship, there is the potential to really dull the student’s drive to attach with you. This becomes directly applicable in the classroom when we think about the meaningfulness of the relationships that we’re developing with our students. The more the students can trust us, the more that they can open up to us. This connection will likely make them more attached to learning. I think you touched on a very important aspect of being a culturally responsive teacher. Loving your students, creating a community in your classroom based on strong relationships, and realizing there is always room to learn more are essential for us as teachers. Thank you for sharing. I was also grateful for the three elders that showed up. And thanks for stating what Linda said. I know of too many people who did not feel loved right in their home. We are all possibly going to become the number person where a student is looking for love. I am trying very hard to picture myself more as the person who is going to love the student that isn’t loved by his/her classmates or their family. It’s definitely going to be a challenge. Thank you for your reflection Joe. I two connected with Linda and David’s encouragement to love our students. To build relationships, to create and environment of trust.